What if Steve Jobs ran Microsoft? Hell freezes over, but it's not all bad. Windows Mobile is saved! Jobs at Microsoft: a new era or the beginning of the end? For most companies, bosses come and go and nobody notices, let alone cares. Apple is different, and if Steve Jobs catches a cold the share price plummets. That's because Steve Jobs is Apple, and his fingerprints are on everything Mac addicts love. So what would happen if, through a bizarre and completely unlikely set of circumstances, he decided to take his magic touch to Microsoft? It's something Bill Gates has apparently thought about quite a lot – and not just in his nightmares. According to The Economist, "the one person Bill Gates admires most for his geeky prowess – and might have chosen to succeed him as software architect – is almost certainly Steve Jobs." Gates' successor was, of course, Ray Ozzie – but what would Microsoft look like with Jobs in the top job? "One of the first things Jobs would do is simplify the organisation dramatically," says analyst Rob Enderle. "It's way too complex for him to manage. One of the first things he did when he returned to Apple was to strip out all of the stuff that he wasn't interested in, so for example he killed the cloning part of Apple's business. That would be his tendency at Microsoft." Microsoft's search business would probably be an early casualty, because Steve Jobs has no interest in me-too products – especially me-too products that drip red ink all over the balance sheet. We wouldn't fancy the Zune's chances of survival, either. A big part of Apple's success is that it doesn't just control the software; it controls the hardware too – and part of Microsoft's problems with Vista stemmed from having to support all kinds of configurations, often from firms who can't be bothered updating their device drivers. We can't imagine Jobs letting that continue. 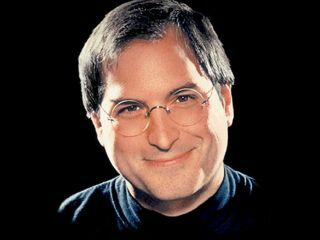 "Steve Jobs breathes hardware," Enderle says. "He likes things he can touch. His strength is not software and has never been, so the parts of the company he'd be most interested in would be the Xbox, the peripherals and other hardware." And of course, PCs are much more interesting than peripherals. "He'd wonder, why keep messing around with OEMs when they don't really listen anyway? Why don't we build the machine that we like?" As with Macs, the result would be something Jobs would want to use, and if that means abandoning things users expect then so be it. As Graham Barlow, editor of MacFormat, explains: "Jobs is a perfectionist, obsessed with fine detail but also with delivering an experience to the end user that is seamless, simple and soulful. He's also unafraid to cut off legacy support for outmoded technology, or technology that he thinks is outmoded. Sod everybody else – Jobs knows best." That's generally a good thing. "Apple recently axed FireWire ports on the MacBook [although it has since brought them back], and of course the floppy drive was axed in the original iMac – much to people's disgust at the time," Barlow says. "Looking back, though, Apple tends to be right about these things."